Since I have NetStream 4Sat (November 2015 = older model) my MacBook Pro (13“, Late 2010) terminates the TV-window (and with it programmed and live recordings) after quite exact 29 minutes. Same thing with my other MacBook Pro (13" Mid 2015) which I bought last year. Despite eyeTV view and recordings on my iPad works fine. Before NetStream 4Sat everything worked fine for years with eyeTV-Software and a eyeTV DTT-Stick from 2011. With NetStream 4Sat the EyeTV-Software on my Macs (not on my iPad) had very often difficulties to connect to it - which problem I could solve a few days ago by changing the eyeTV-Software Code from the one that came with the DTT-Stick to the one that came with NetStream 4Sat. Thanks @Georgio8 for the solution in this post: https://eyetvforum.com/index.php?/topic/1933-eyetv-369-not-connecting-to-netstream-4sat/ !!! But still the TV-window closes after 29 minutes and could only be reopened after eyeTV-Software had been quitted and restarted - every 29 minutes unacceptable annoyingly! I read about this kind of issues several times here in the forum - without finding a solution that works for me. reset the NetStream 4Sat (and then delete the eyeTV-software from both my MacBook Pro with the Reporter Tool again and reinstalled eyeTV Version 7523). Still the same problem: The TV-window terminates after 29 minutes. Someone claims this problem to at that time Elgato and got a exchange device (I think I read this in this forum here), but I think after 2 years I am too late for a warranty case? So could someone please help me here? @thomaskud perhaps you can help me? 2. check if eyetv 3 and eyeconnect (a part of eyetv 3 software) are allowed under firewall settings. 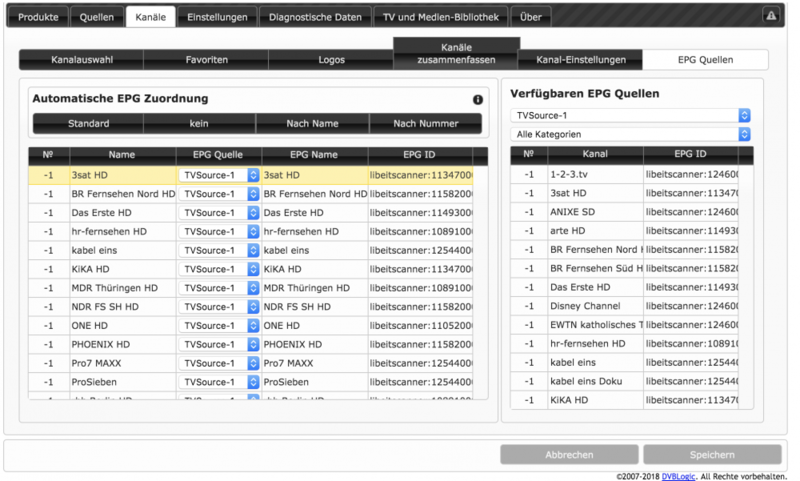 find eyeconnect under Mac - Application - right click and choose show package content - resources - eyeconnect. Now double-click eyeconnect, if it asks "would you allow eyeconnect", please choose "yes", if nothing happens, everything is fine. We also have several old netstream 4Sat in our office and they are running almost 7x24h. So a bug of software could be excluded. May you give me your receipt via PM? Our team will discuss about your issue soon and try our best to do what we can. eyeConnect is not "installed"/started with eyeTV-Software on both my Macs (even if the user, which installed + uses eyeTV has admin-rights). If I start eyeConnect manually (see second screenshot of reporter tool network diagnosis), there is still the same stop after 29 Minutes. Thanks for your description how to start eyeConnect @thomaskud Now both apps (eyeTV and eyeConnect) can receive ingoing connections at the macOS-firewall. sadly the problem also occurs with cable/ethernet connection between router and Mac - WLAN was deactivated. the network settings of my router (FitzBox) allowing "Zugriff für Anwendungen erlauben" and "Statusinformationen über UPnP übertragen" . Nevertheless the reporter tool showing a red dot at "Automatische Konfiguration des Routers '<NameMeinesRouters>' fehlgeschlagen". I don't know which other security-setting could be relevant? Can you please tell me which settings are neccessary @thomaskud? After all this testing your tips I am asking me, why eyeConnect isn't "installed" with eyeTV-software-installation? Why it isn't started together at the start of the eyeTV-App? Should I add eyeConnect-App to the start objects from the user? Do you mean with my "receipt" "meine Rechnung"? O.k., kommt per P.M.
Did you get my receipt @thomaskud? sorry i just find your receipt in my PM. Another suggestion: uninstall EyeTV 3 via EyeTV Reporter completely and re-install it. Then check with EyeTV Reporter if eyeconnect service has been installed. und wieder installiert (Benutzer mit Admin-Rechten). 1. Mein erster Screenshot von Montags-Post zeigt das Fenster vom Reporter Tool >Netzwerk-Diagnose direkt nach dem Re-Installieren. EyeConnect war NICHT installiert und dementsprechend auch nicht gestartet oder antwortend. eyeConnect ist immer noch nicht installiert - aber gestartet und antwortend. ist eyeConnect (lt. Reporter Tool) wieder NICHT gestartet - mittlerweile hab ich mir ein Alias auf den Schreibtisch zum manuellen Starten gelegt. Englisch verstehen ja als "Universalsprache" mehr Leute (hoffentlich auch mein Kauderwelsch-Englisch ) - wäre schön, wenn wir hier eine Lösung finden könnten, die auch anderen hilft Ich habe nämlich ziemlich viele (überwiegend anscheinend ungelöste) Berichte von Problemen meiner Art (Wiedergabeabbrüche) hier im Forum u.v.a auch sonst im Internet gefunden. Die Firmware-Version hab ich dir gerade wie gewünscht per PM geschickt. my NetStream 4Sat doesn't update to the current firmware-version - who can help?!? but my NetStream 4Sat only reinstall the version it has before (1.0.4.343r1-V1) - see first Screenshot. If I go to the IP-Adress of my NetStream, there where no Infos anymore about the NetStream device and firmware: Since my last Firmware-update a few weeks ago (on my search for a solution for the tv-view termination after 29 minutes), there is only the possibility to choose a firmware-file and to upload this file under the IP-Adress of the NetStream-device (see second screenshot). Has anybody some idea what could be the problem?!? - Before a few weeks I reconfigured my router, so that the NetStream-device has now free internet-access (that couldn't be the problem anymore). - But the Reporter Tool shows red light, that the automatic configuration of the router doesn't work (see third screenshot). The network settings of my router (FitzBox) allowing "Zugriff für Anwendungen erlauben" and "Statusinformationen über UPnP übertragen". But I don't know which other router-settings could be relevant and found nothing about it in the help system. Can someone please tell me which settings are neccessary? Yes, I asked this question a few weeks ago (8.1.) - but with no reply. Even not from @thomaskud. ... on my search for a solution for the tv-view-termination-problem, there is a second question still open @thomaskud, which could lead to the solution. Why eyeConnect is "not installed" with the eyeTV-App installation (see first Screenshot from eyeTV Reporter Tool)? But the eyeConnect.app-file is there, where @thomaskud said it should be (Mac - Application - right click and choose show package content - resources - eyeconnect). 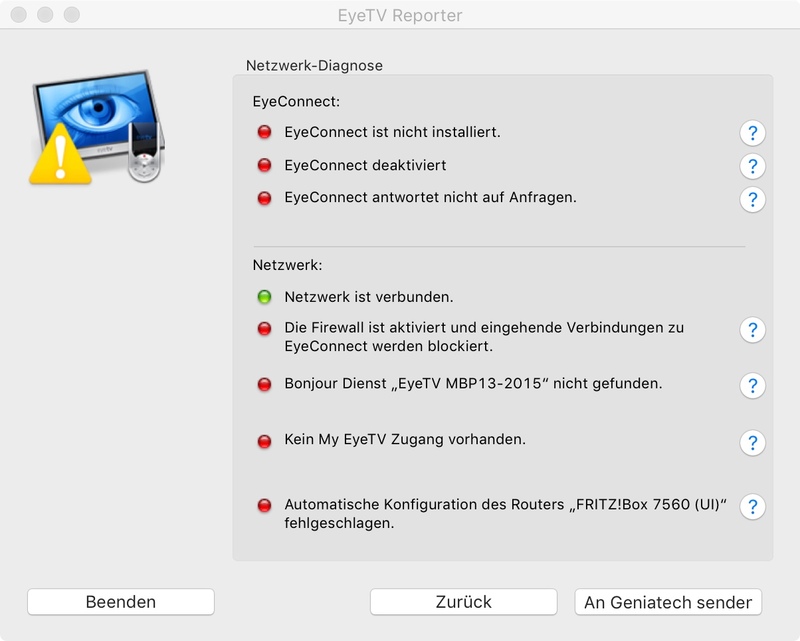 I installed eyeTV-Software on both my Macs (MacBook Pro from 2010 and MacBookPro from 2015, both with macOS Sierra 10.12.6) with an admin-user (with which I use eyeTV). I used the eyeTV-Lizence-Code which came with the NetStream 4Sat-Hardware and granted rights for incoming connections at macOS-firewall for eyeTV.app, eyeConnect.app and eyeTV Reporter.app. As you can see at my post above, there could be issues with the firmware-version and the router-configuration - see my questions there. After the eyeTV-installation the Reporter Tool shows red lights for eyeConnect (eyeConnect not installed, not activated, not answering - see first screenshot). If I started eyeConnect manually the lights are green for eyeConnect is activated and answering - but still red for eyeConnet is not installed (see second screenshot). Has anyone any idea, why eyeConnect is "not installed" with the installation of the eyeTV-App? Or any other idea why tv-view terminates after 29 minutes? 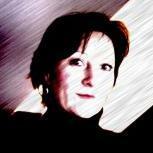 I hope it's o.k., that I sum up the open questions which seam relevant for a solution in my two posts today. Perhaps it's a little bit easier to keep on track for @thomaskud because he only seams to look once a week at weekend in this forum. hab den topic jetzt hier gefunden. Das exakt gleiche Problem habe ich auch. Mein Reporter steht komplett auf grün! Alle updates und Firmware aktuell. Was können wir tun? found the topic here..... I have the same issues with Netstream 4SAT as well had with a MEGASAT SAT>IP Server. May you provide which firmware version and software version are you using? In the case of lgl, it seems like a hardware issue and we already sent a new netstream 4Sat to him/her. auf macOS 10.13.2, also mit den vorherigen Versionen lief es einwandfrei? Hallo, bei mir lief bisher mit noch keiner macOS Version. (Habe Netstream seid Sept. ) heute 13.3 runter geladen, kein erfolg. @thomaskud Ja - die Netstream 4c lief durch. Ich konnte Aufnahmen (4 parallel ) programmieren, die auch ausgeführt wurden. Allerdings hatte ich das Problem das bei einigen Aufnahmen das definierte Ende falsch ausgeführt wurde. Ich nehme z.Bsp. täglich die Tagesthemen auf um sie mir Zeitversetzt anzusehen. 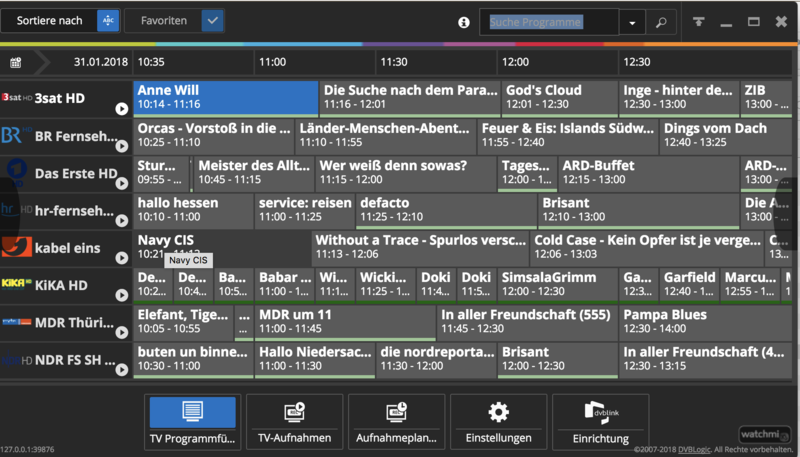 Einige wurden wie programmiert aufgenommen, andere liefen 2 oder über 3 Stunden. Ich konnte keine Systematik erkennen. Letztendlich funktionierte es. Vor der Netstream hatte ich jahrelang eine HD-Homerun die perfekt lief. Bin dann wg. der eingestellten Unterstützung gewechselt. Weiterhin ist verwunderlich, das die IOS Netstream App jederzeit Zugriff hat, während EyeTV die Netstream nicht finden kann. Die Netstream und mein MAC hängen per Kabel an eine Timecapsule über die auch die App per WLan zugreift. Vorher hatte ich jahrelang den DTT Stick im Einsatz und war zufrieden. 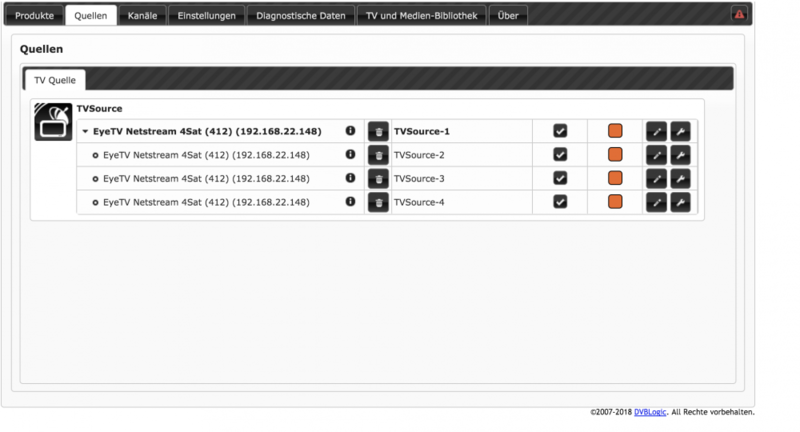 Im Zuge der Abschaltung DVB-T habe ich einen SAP>IP Server von MEGASAT installiert. Dieser zeigte mit EyeTV von Anfang an dieses Verhalten und hat nicht funktioniert, bis hin zum "Absturz" des MEGASAT. Da aber EyeTV jahrelang mit dem DTT Stick funktioniert hatte, habe ich eher einen Hardwarefehler am MEGASAT vermutet und nach mehreren Reparaturversuchen diesen dann durch den Netstream 4SAT ersetzt. Netstream 4SAT und Rechner sind mittels Gigabit Kabel, Netstream mittels unicable mit der Satellitenanlage verbunden. Bei Verwendung von DVBLink oder TVstreamrecord lässt sich das geschilderte Verhalten nicht beobachten; Sendungen lassen sich anschauen bzw. komplett aufnehmen. Deshalb halte ich einen Hardwaredefekt am Netstream 4SAT für weniger wahrscheinlich. Hallo, kann mir jemand den link zu den alternativen Programmen senden, würde das gerne mal ausprobieren. Der Dvblink player erkennt die Quelle nicht. Bezahlen werde ich das Programm kaum. Bei tvstreamrecord steige ich aus,ich bin ja kein Netzwerk Spezialist und möchte einfach nur das es funktioniert. Netstream war schon teuer genug. Vielleicht gibts hier ja schnell eine Lösung des Problems , ... ich bin ja nicht der einzige User mit dem Problem. Im übrigen ist die signialstärke seid jeher 100%. Das scheint ja auch etwas unnormal..
Hier habe ich einige Hardcopies meines DVBLink Player (kostenlose Version) beigefügt. Aber es stimmt: Das Ganze ist nicht so mac-like wie EyeTV, aber es funktioniert wenigstens. Ich habe auch noch keine Möglichkeit gefunden, die Aufnahmen "einfach" bearbeiten und konvertieren zu können. hast du das gleiche Problem auch mit der netstream iOS/Android App?